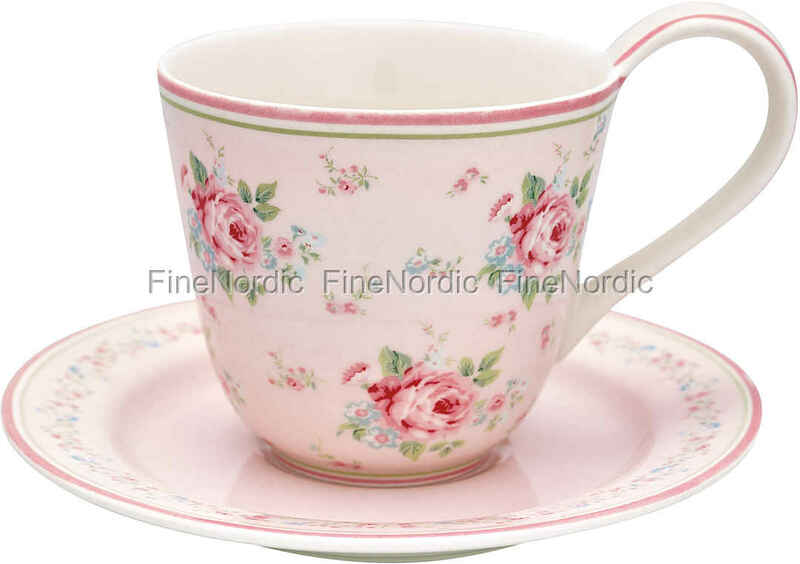 A dream in pink is this cup with saucer Marley Pale Pink by GreenGate. It looks romantic and very feminine, with a touch of nostalgia. Thanks to the large handle, it is light and easy to hold, and when you are not using your teaspoon, then it can rest on the saucer. A delightful mug for the weekly ladies' coffee meeting. The romantic floral pattern on a pale pink background, combined with the stylish shape of the cup, makes it a highlight on the coffee table.